WASHINGTON, DC, June 8, 2016 (ENS) – By unanimous consent, the U.S. Senate passed a bill Tuesday that would update federal chemical safety protections for the first time in four decades. The measure gives the Environmental Protection Agency new power to require safety assessments of chemicals found in ordinary products from toys and clothing to household cleansers. The Senate approved the legislation that was passed by the House of Representatives on May 25, sending it to President Barack Obama for his expected signature. The bill reforms the Toxic Substances Control Act of 1976, TSCA, lifting restrictions that have kept the U.S. Environmental Protection Agency from regulating chemicals in common use from asbestos to flame retardants. Today, tens of thousands of chemicals, including many that Americans come into contact with in daily life, to go on the market without any safety evaluation. The legislation, titled the Frank R. Lautenberg Chemical Safety for the 21st Century Act, is named for the late Senator Frank Lautenberg, a New Jersey Democrat, who championed TSCA reform until his death in 2013. Require the EPA to protect the most vulnerable people: children, the elderly, pregnant women, and chemical workers. Give the EPA new authority to order testing and ensure chemicals are safe, with a focus on the most risky chemicals, such as known carcinogens and those with high toxicity. Ensure the EPA reviews new chemicals before they go on the market. Provide the EPA with resources to do its job and require that industry do its share to support the program, providing $25 million a year. Set mandatory, enforceable deadlines for the EPA to act. Allow all states multiple ways to act on chemicals, including unfettered authority on chemicals where the EPA is not acting, and options for state co-enforcement and waivers from federal preemption where the EPA has acted to restrict a chemical. 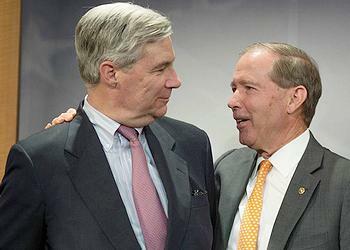 The measure was moved through the Senate by the bipartisan efforts of Senators Tom Udall, a New Mexico Democrat, and David Vitter, a Louisiana Republican. “Today’s victory is a culmination of years of hard work and dedication from both sides,” said Vitter. The first bipartisan bill to reform the TSCA was introduced by Senators Lautenberg and Vitter in May 2013. “After four decades of living under a stagnant chemical safety law, I am so very glad to have passed a law that strengthens our country’s international competitiveness, provides desperately needed regulatory certainty for industry, and mandates that the federal government use better science and provide more transparency,” the Louisiana senator said. “Without a working federal safety program, states like New Mexico have no protection. When this bill becomes law, there will finally be a cop on the beat,” he said. The last of the major environmental laws of the 1960s and 70s to be updated, the TSCA was broken from the start, and rendered virtually useless by a court decision in 1991 that blocked an attempt by the EPA to ban asbestos, the two senators said in a joint statement. Since 1976, the EPA has been able to restrict just five chemicals, and has prevented from going to market only four of the hundreds of chemicals produced each year. Because the law is broken, they said, tens of thousands of chemicals, including known carcinogens, have been on the market for decades without being evaluated for safety and without meaningful regulation or restriction. “This is almost unprecedented where you have an environmental legislation where you have this breadth and depth of support,” he said. 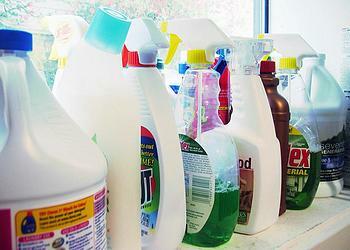 Environmental groups have long advocated for an effective chemical safety law. “Today’s vote is an historic victory for public health,” said Dr. Richard Denison, lead senior scientist with the Environmental Defense Fund. “The failures of the current law have undercut consumer confidence in the safety of everyday products, leading many businesses to support a national system even if that means tougher regulation,” said Denison. Science has linked chemicals used in everyday products such as household cleaners, clothing and furniture to serious illnesses, including cancer, infertility, diabetes and Parkinson’s disease.